Should You Invest in Cloud or a Dedicated Server? If you are about to start your website business, you will need to decide who will handle your web hosting, and what kind of web hosting you need. Figuring out your hosting bandwidth and disk space need is not an easy task but it has a major impact on the type of hosting you should choose. Some companies are making large investments in cloud computing today, making it affordable for small businesses too. Basically, there are only three kinds to choose from: cloud hosting, dedicated web hosting, and shared web hosting. 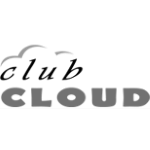 Cloud is a big network of dedicated servers all connected together and sharing their resources. It’s like a huge dedicated server but the huge number of servers brings more redundancy for a virtually 100% uptime. If you wan to learn more visit the website of the International Cloud Symposium. Dedicated web hosting means that you buy the exclusive use of a company’s server, or at least one of its servers. This is your to do as you please. In the case of shared web hosting, you pay a small fee to use a server that other websites are also using. It’s similar to someone renting an entire building, and someone renting an entire floor of that building. Which kind should you choose? Well, that would depend on your requirements and your objective. First, if you need the space, and you want to be absolutely sure of safety and security measures, then you need cloud hosting or a dedicated web host. This way, you lessen the risk of someone hacking into your system You will also have the freedom to download and upload anything you want without fear of stepping over your space limits. When you subscribe to a shared web hosting, you have to choose a scheme. The schemes would change only as far as the amount of space you need for your website. The smaller the space, the cheaper the monthly payments. Second, being a top client of the provider because you are renting one server, you get immediate attention from your provider. You are assured of excellent technical assistance and 24/7 service. Most providers allot more time and attention in pleasing a client who rents a server. Thirdly, your website will perform better since you do not have to worry about sharing space with anyone. It will upload faster and your website performance will be top notch. So, what’s the catch? Obviously, you will have to pay more for a dedicated web hosting. You will also have incidental expenses for power source and HVAC systems. Other than the additional expense, there is no real downside. Therefore, plan your website carefully. If you want to go big time from the start, and you can afford to buy a dedicate web hosting, then go for it. Just make sure you did the math carefully. In business, it’s very easy to move up, but extremely depressing to have to downscale. It not only makes you feel bad, but your clients and guests in your website will notice the difference and you risk them moving to another site for good. If you are unsure of how your first year will turn out, then follow the KISS method – Keep It Simple, Silly. Start conservative and shift to the dedicated web hosting when you are reaching full capacity.